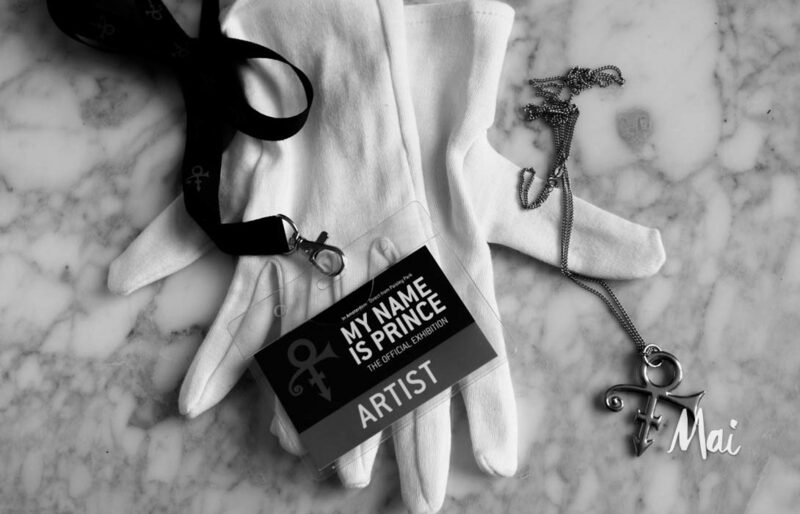 To see Part 1 of the EVPs that I got at the My Name Is Prince exhibition, go here. Traditionally, EVP is recorded in private, and in places that are known to be haunted. I have been experimenting with EVP, and I found that it is not necessary to record in these conditions. Spirits are everywhere. I became curious to know what kinds of spirits are hanging out in public places, and what they are saying. I have been selecting special occasions and places to record. I always get Prince on my recordings, but I also find him talking to other spirits. I was very curious to see what I would get if I went to the Prince exhibition. In this clip, Prince says my name, “Andrea Mai”. In this clip, he says “I am Prince”. I wasn’t sure if I was going to post these three following clips, but for Prince fans out there that are still having a hard time accepting that fact that he did take medication, here is something. Prince responded, but the quality of the recording was not very good because other people were talking. I was only able to make out a part where he said, “Forgot I take the pill”. The recording was interrupted by other people talking and then I heard him say “ Then I overdosed”. Another asked, “Why did you take the pills?”. Unfortunately, when Prince answered the question, I was also in the middle of talking to my fire,d so the only part I caught was “I was in pain”. In side the exhibition, someone said to Prince, “Potpourri?”. In this clip, Prince responded, “That’s lavender”. If you don’t already know, Prince and I are crazy about lavender. Then someone responded, “Smells good”. At the end of the exhibit, we went into the gift shop and I had a look around. 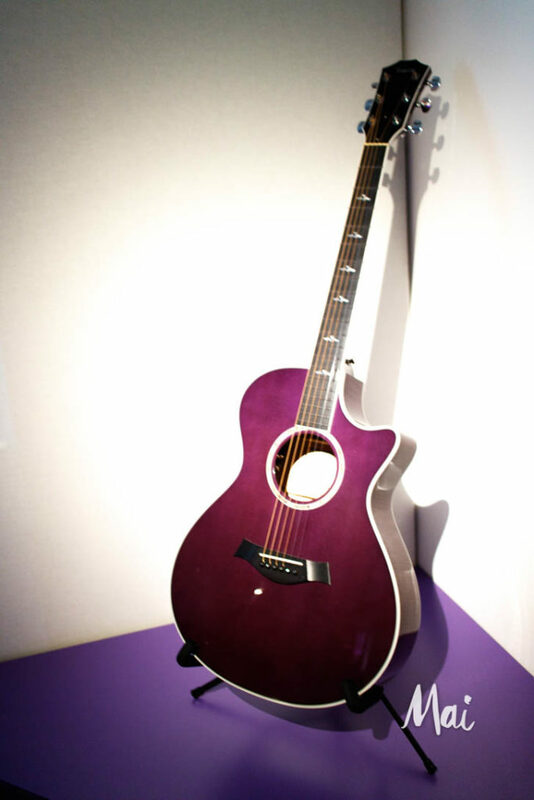 They had a Cloud guitar on display. I really want to get one someday when I have spare cash. I went up to the guitar, and P says to me, “It is cloud guitar”. The people in spirit were noticing me, they wanted to know who I was and why Prince was with me. I don’t know what was meant by this remark, but someone said, “My name is Princess”. Maybe it was meant as a joke? After the tour, we took the tram to go home. I caught this EVP where someone said “Let’s go and have a popsicle”. I think it’s really cute. Before we walked into the exhibit hall, someone said, “Hole punch”. It sounded like he was hole punching tickets at the entrance. The venue for the exhibition was in Beurs van Berlage in historic Amsterdam. Amsterdam was occupied by Nazi Germany, and they took over buildings in the city for holding camps. I think it is possible that this building might have been occupied, as I found on the recording, someone said “Auschswitz”. While we were waiting to go on the tour, there was a lounge that we waited in. I found on the recording, someone said “Purple elephant”. I don’t know what they were referring to, but I thought this was funny. All these recordings were recorded using my EVP Wrist Recorder 3 on May 15, 2018. Image above: “White gloves” by Andrea Mai.